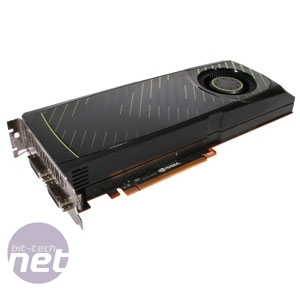 Following the release of Nvidia’s new top-end, GF110-based GeForce GTX 580 1.5GB last month, we were fully expecting ATI to reply in quick fashion with its own high end cards. In the last few words of the review, we even went so far as to advise you all to hold off for a few weeks. Instead, as the weather turned cold and we looked to our PCs for additional heating, Nvidia has had the second round of DX11 fight to itself, and plenty have jumped onto the GTX 580 wagon. 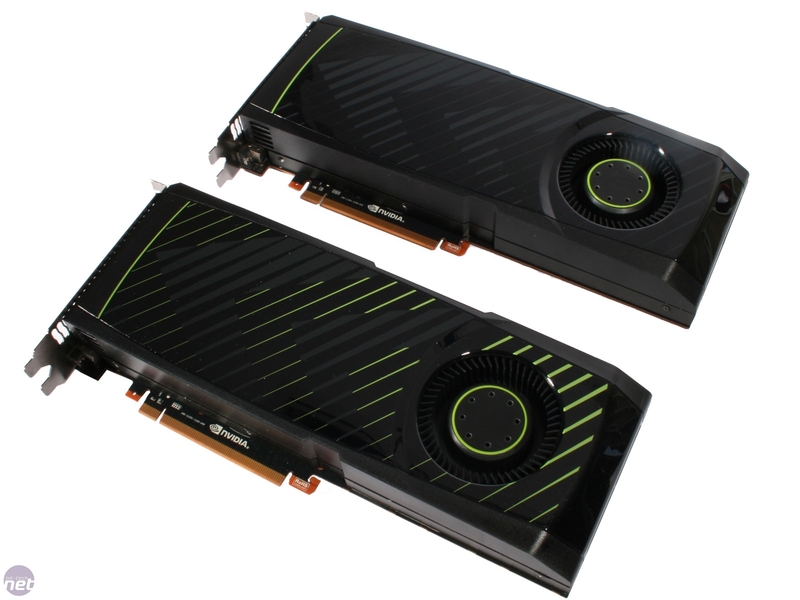 Whether the delay to the HD69xx series of cards is caused by fabrication problems, parts shortages or just business strategy isn’t clear, but Nvidia is taking the opportunity to flex its muscles with the rapid release of a more affordable follow-up, the GeForce GTX 570 1.3GB. 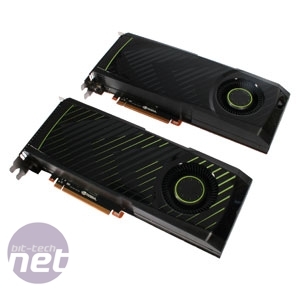 At a glance, there’s little to differentiate the GTX 580 1.5GB from the new GTX 570 1.3GB. Both use the same 10.5in-long PCB and glossy plastic shroud, with the only obvious difference being less power phase circuitry on the rear of the card; more on that later. 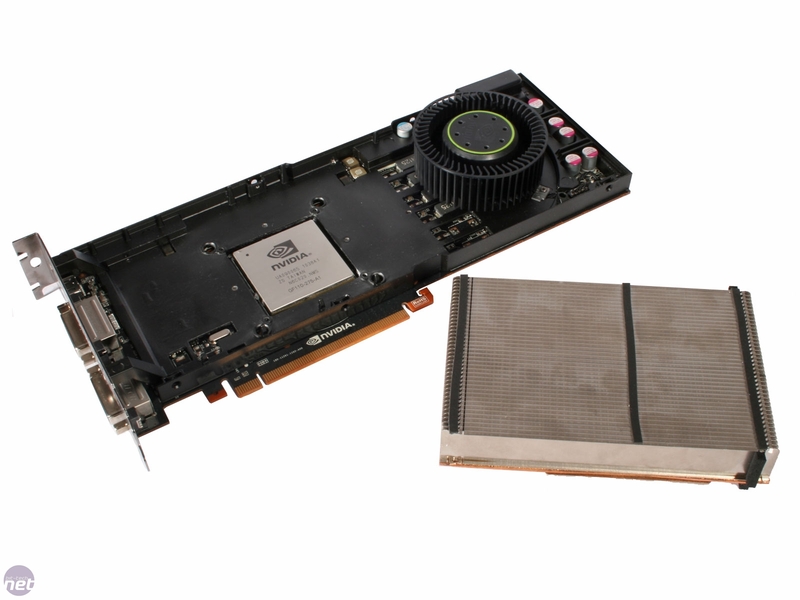 While the GTX 570 1.3GB might look very much like a GTX 580 1.5GB on the outside, it’s inside where all the big changes have been made, the most notable of which is that the GTX 570 1.3GB uses 480 stream processors. This is the same number as the GTX 480 1.5GB had, with the last SM (Streaming Multiprocessor, or block of 32 stream processors) of the GPU’s design disabled. One less SM is fair enough but Nvidia has been a little more heavy handed elsewhere. 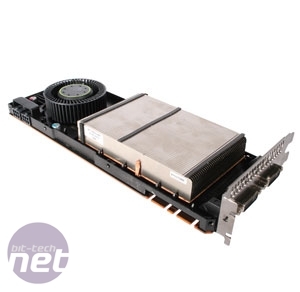 It’s also lopped off a memory controller unit to reduce the memory interface to 320-bit rather than the 384-bit interface of the GTX 480 1.5GB and the GTX 580 1.5GB. This cut also reduces the GPU’s ROP count to 60 and its Level 2 cache from 768KB to 640KB. 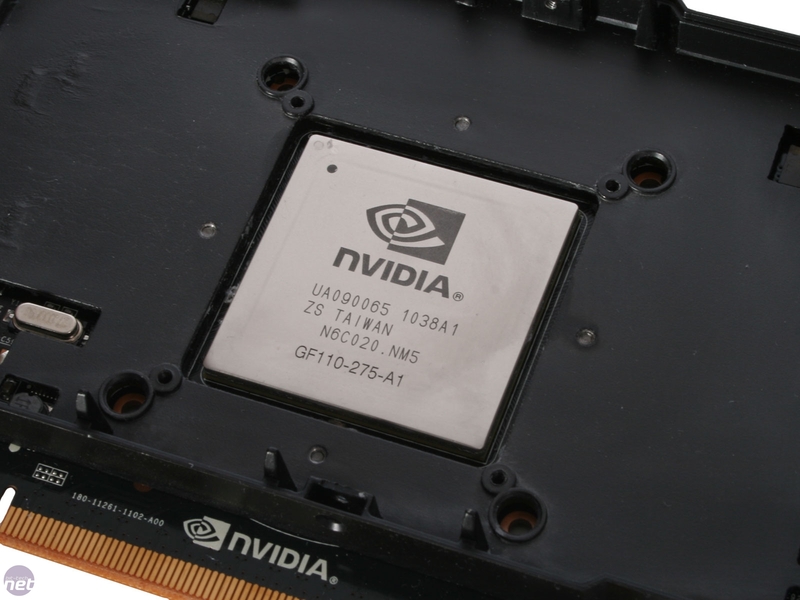 With one less memory controller in the GPU, the amount of physical memory drops to 1,280MB. 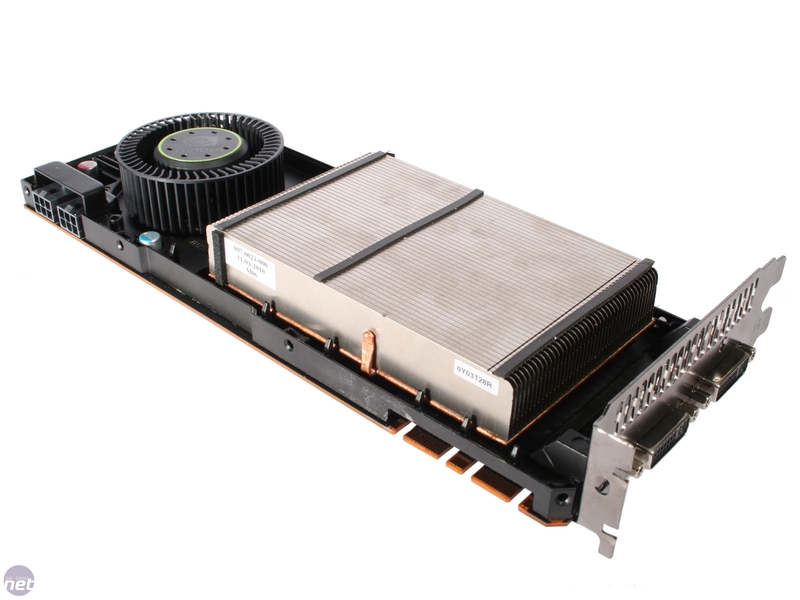 Despite the cut down GPU and memory though, the new line of GF110 Fermi GPUs have the critical improvement of low leakage transistors for non-performance critical areas of the GPU. 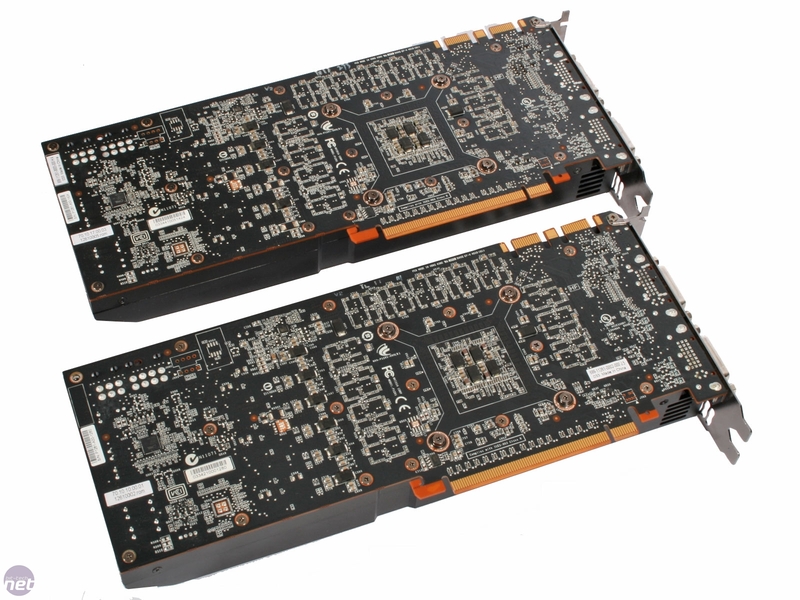 These produce less heat, and allow the GTX 570 1.3GB, like the GTX 580 1.5GB, to sport higher clock speeds while consuming roughly equivalent amounts of power. 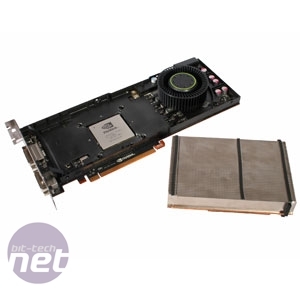 This has allowed the GTX 570 1.3GB to ship with a GPU core clock speed of 732MHz, a stream processor clock of 1,464MHz and a memory clock of 950MHz (3.8GHz effective). This is an improvement of 4.5 per cent over the core clock speed of the GTX 480 1.5GB, with the memory frequency increase working out at just over 2 percent. 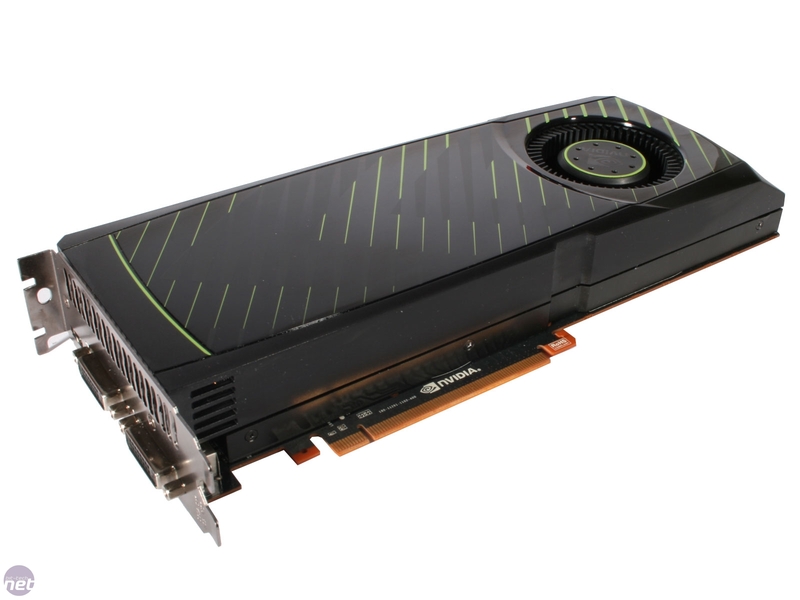 Add to this the fact that the revised GF110 GPU design has enhanced fp16 capabilities (that Nvidia says is good for a 4-12 per cent performance boost) and a £300 GTX 570 1.3GB should compete with the GTX 480 1.5GB for outright performance. 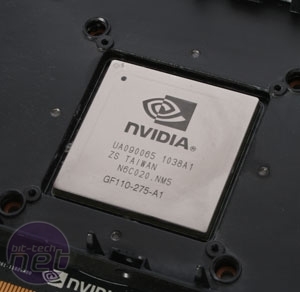 At the same time, the GTX 570 1.3GB’s frequencies are still some way off those of the GTX 580 1.5GB, which rocks a GPU core clock of 772MHz and an effective memory clock of 4.08GHz effective, in addition to the extra SM and more memory.